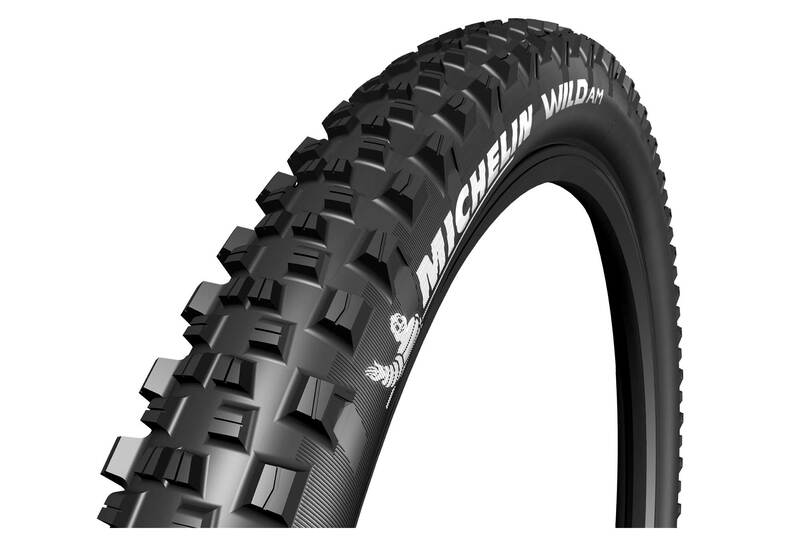 Michelin Wild AM tire is developed with top Enduro riders, offers improved grip and propulsion as well as excellent braking thanks to its mix of three rubbers. 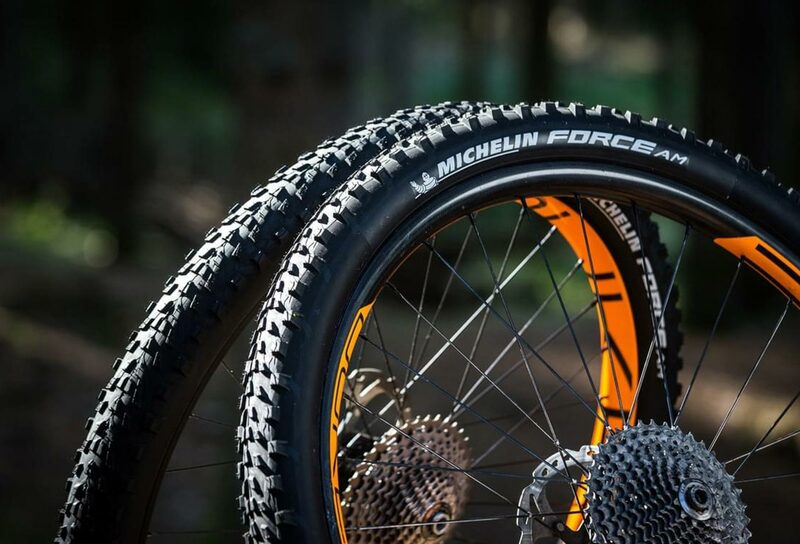 The Race Compound sub-layer works in direct proportion with how hard you pedal, ensuring the utmost in performance. Its outer Traction Compound rubber provides for outstanding braking and maximum power without sacrificing propulsion. 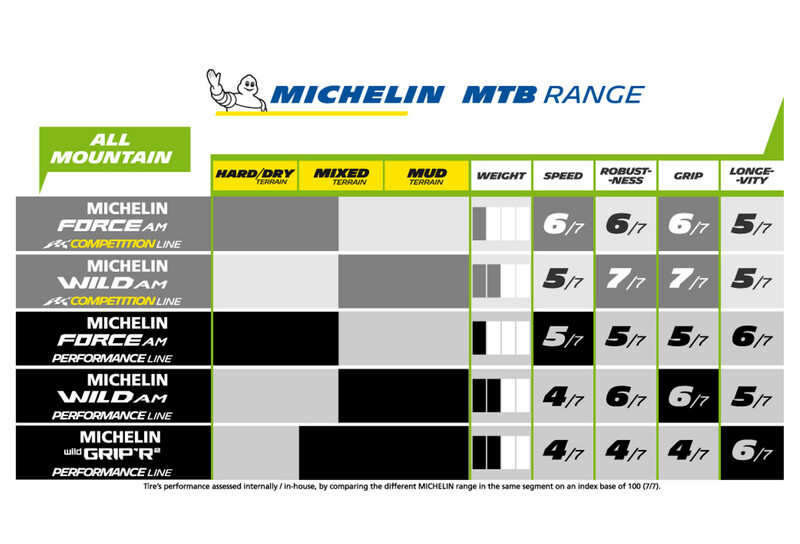 And its GRIP Compound, featuring bilateral rubbers, guarantees incredible grip so you can let yourself go while riding. Compound: Gum-X3D (mix of three rubbers). 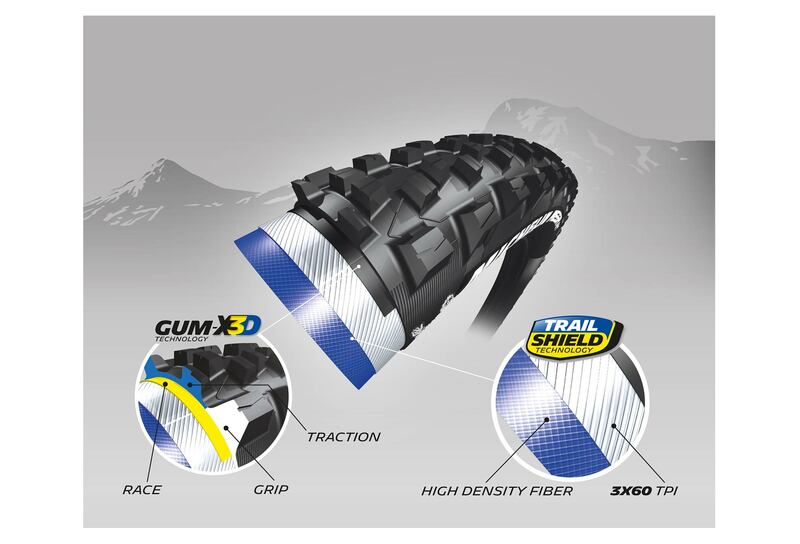 Gum-X 3D Technology is an assembly of 3 different gums, that leads to a better motricity and grip for the bike. 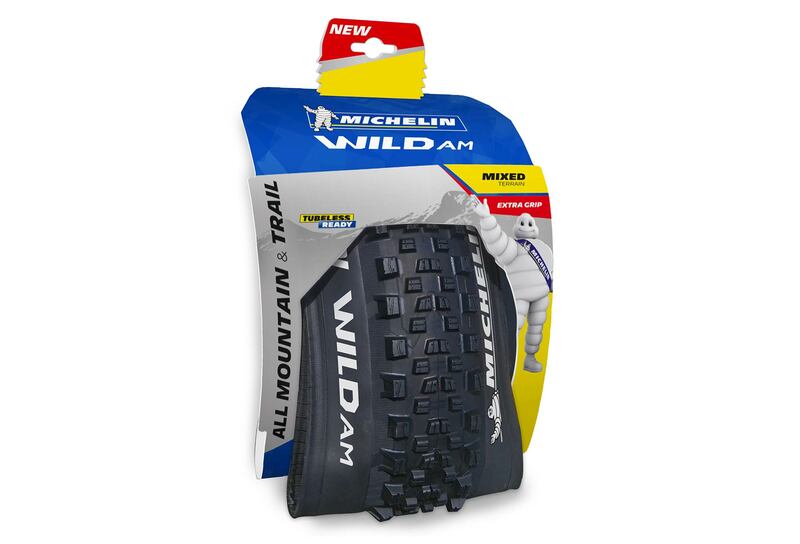 Traction :Outdoor gum to maximize traction without loss of power and ensure excellent braking. Race :Directly under layer in conjunction with your pedaling power to ensure maximum efficiency. Trail Shield technology is a robust and durable assembly between a 3x60 TPI carcass and a high density reinforcement ply. Perfect for Trail or All Mountain.